5 bedroom, 2 bath, 2-story, restored farmhouse on 26+/- acres. Interior stone walls, large eat-in kitchen, remodeled in 2006 with custom built cabinets. Large living room with fireplace and mantel, large addition added in 1997 which includes the master bedroom, office, bathroom and small dormer room. Wrap-around porch with separate door into the office, 4 upstairs bedrooms and bathroom. Also, large 5 bay shop (partially heated) and large wooded picnic area with pavilion and small pond. On-site well and septic. In Act 319 "Clean and Green" and Ag Preserve to the benefit of Lancaster County. 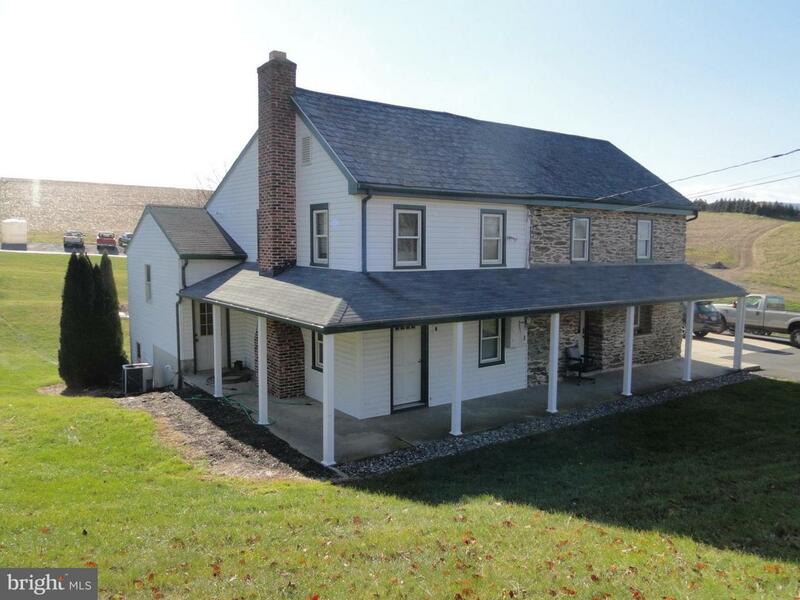 Motivated seller, great opportunity to own a farm in Lancaster County!